Alumni and friends return to campus for a weekend of fun activities, catching up, and reconnecting with old friends and alumni from across the decades. On Saturday, start the day with our annual Memorial Service followed by a Bryant-Robert Morris football game, and end with reunion year (3s or 8s) parties. 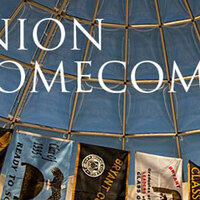 Visit Bryant.edu/reunion for more information about Reunion@Homecoming 2018! Contact alumni@bryant.edu or (401) 232-6040 with questions or concerns.